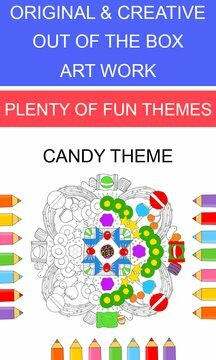 #1 Adult Coloring book on AppStore - Beautiful Coloring book for Adults! keeps you focused and entertained for hours and hours. Original and Innovative out of the box art work never seen before. Colorfillicious Special packs include creative themed drawings based on different moods and different live events. 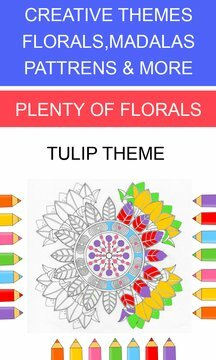 Not just ordinary floral's, mandalas and patterns what other apps has to offer. You Will Love this app, Far different from the rest. brings your creativity to life! Global Hit!!! Millions of adults around the world are getting entertained and relaxation. In simplest terms, coloring has a de-stressing effect because when we focus on a particular activity, we focus on it and not on our worries. But it also “brings out our imagination and takes us back to our childhood, a period in which we most certainly had a lot less stress.” – – – We can also use it to connect with how we feel, since depending on our mood we choose different colors or intensity. As children, the technique of coloring develops our dexterous skills and teaches us ideas like color theory. And as we grow older, the wellness impact of coloring becomes even more prevalent. Hands-on art like coloring sharpens our motor skills, relieves our minds of stress and boosts our creative power. Adult colouring-in books are now a thing, and craft-loving, artsy people the world over are regressing to the mental age of seven. When they’re not playing Candy Crush or Flappy Bird, busy city-dwellers are turning to crayons and felt-tips for their soothing and therapeutic qualities. While in the past people had to wait until they had children to sneakily rediscover the joys of colouring-in, now you can proudly buy colouring books for yourself alone. - Share your creative artwork with your friends! Colorfillicious a Must download app!